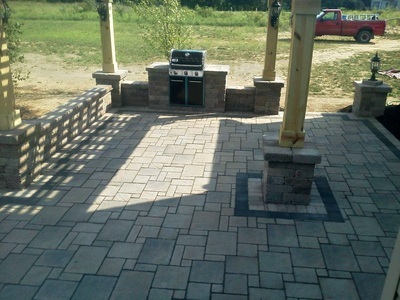 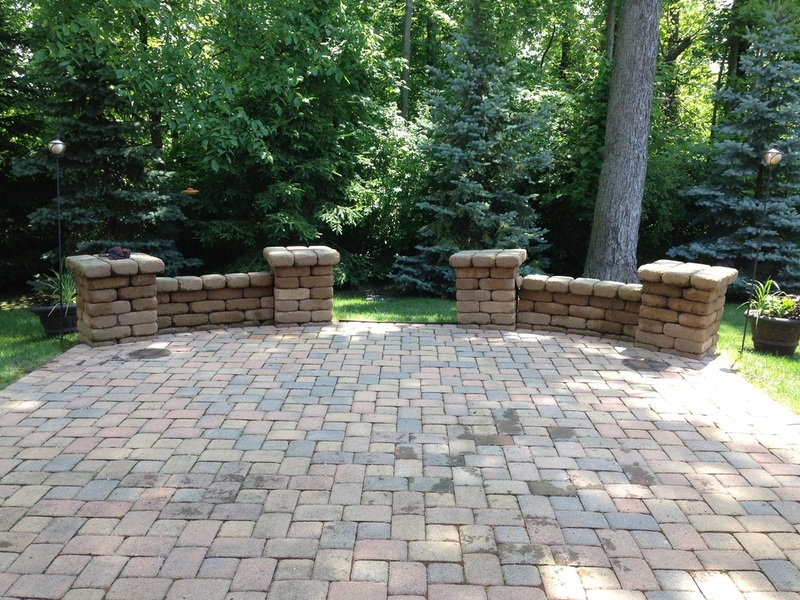 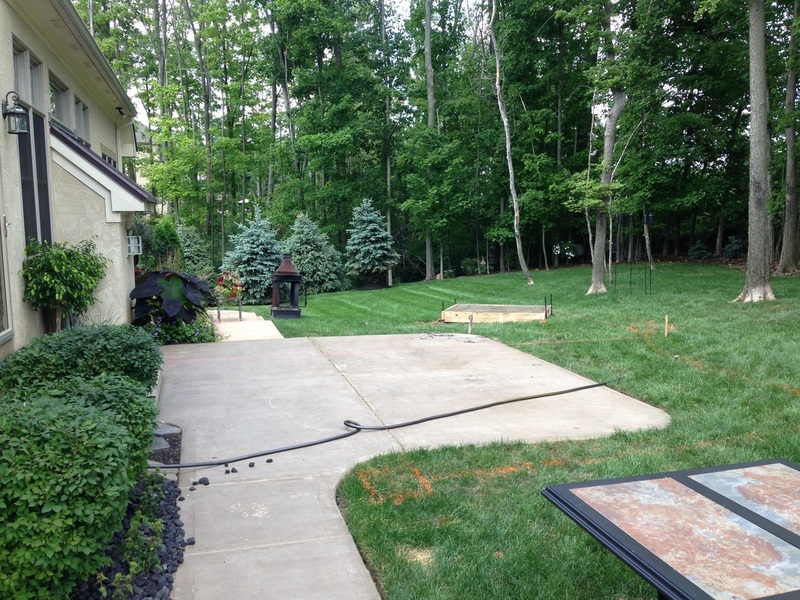 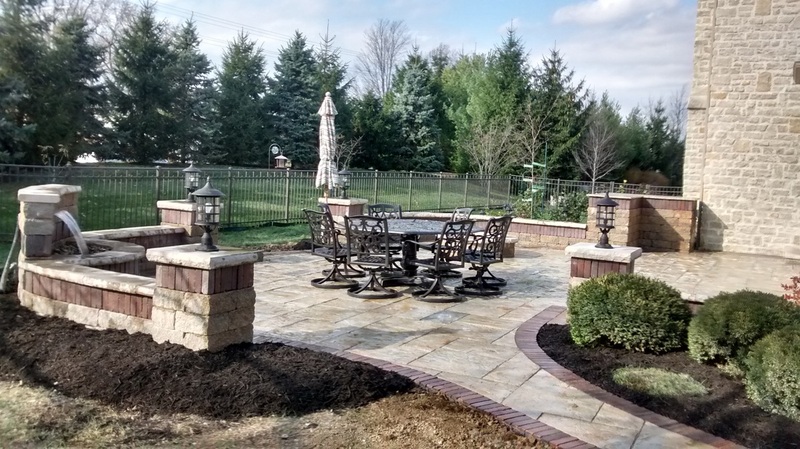 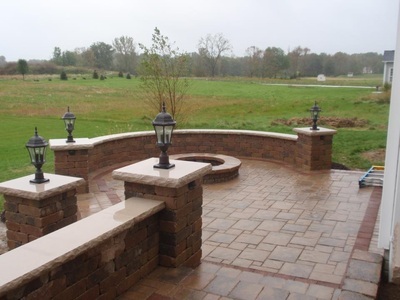 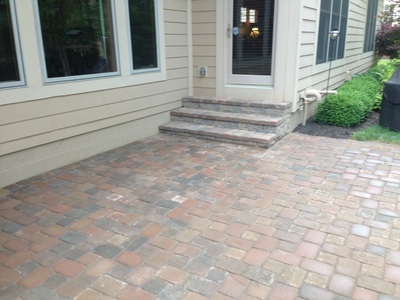 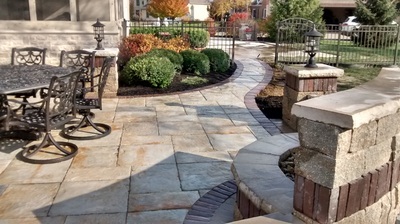 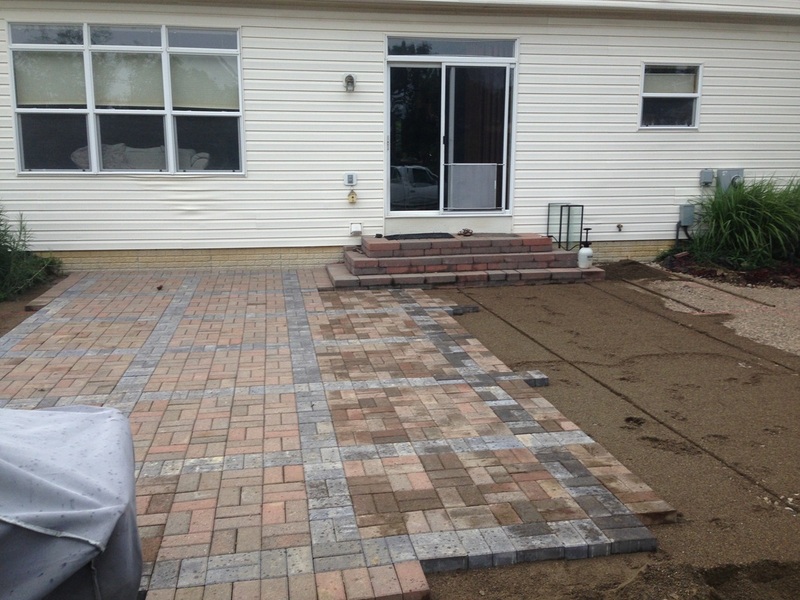 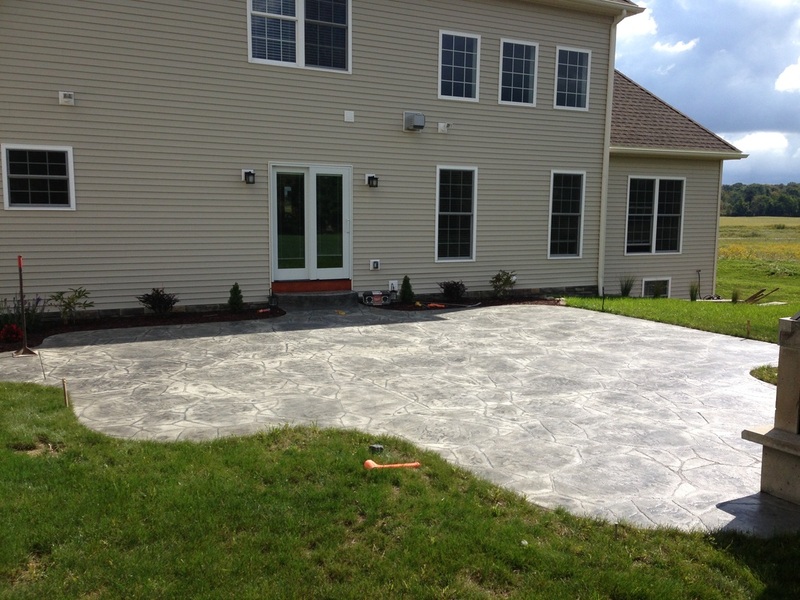 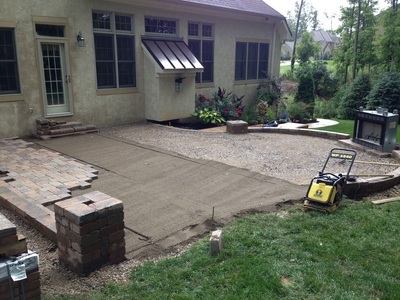 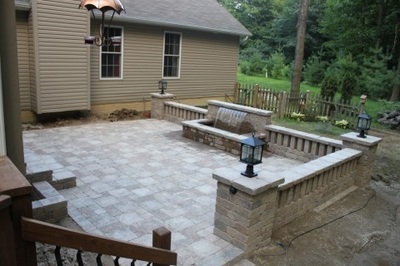 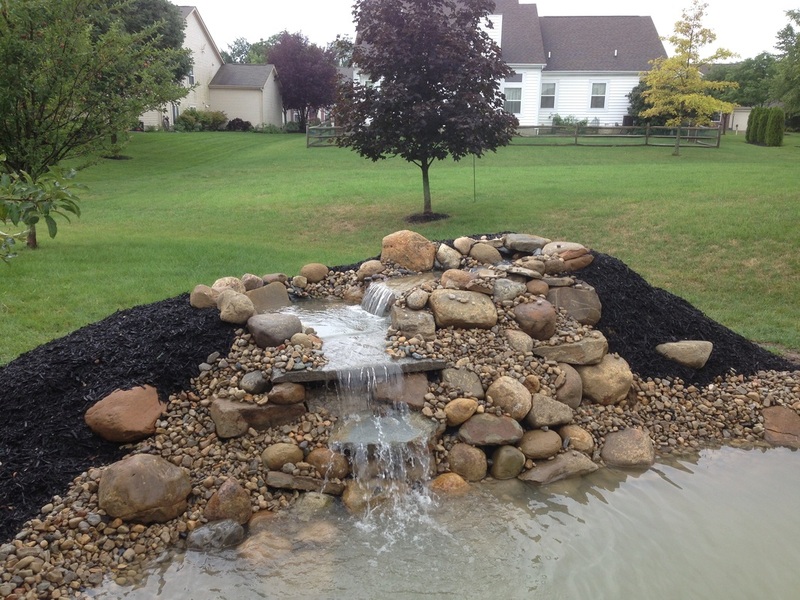 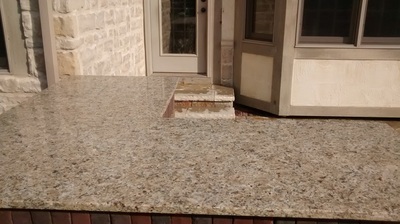 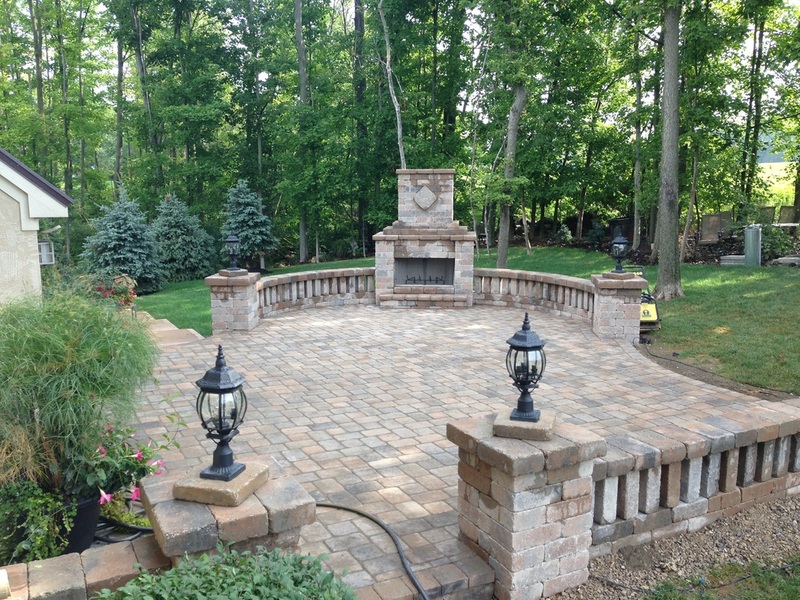 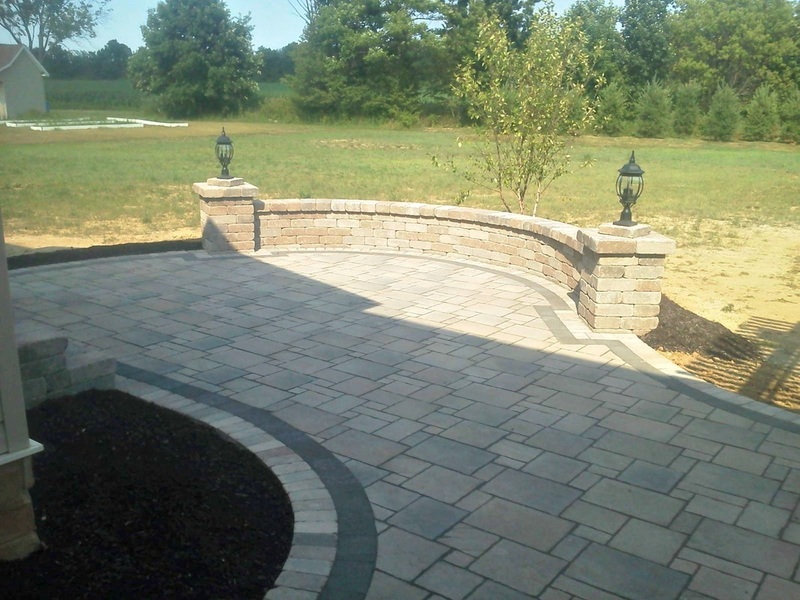 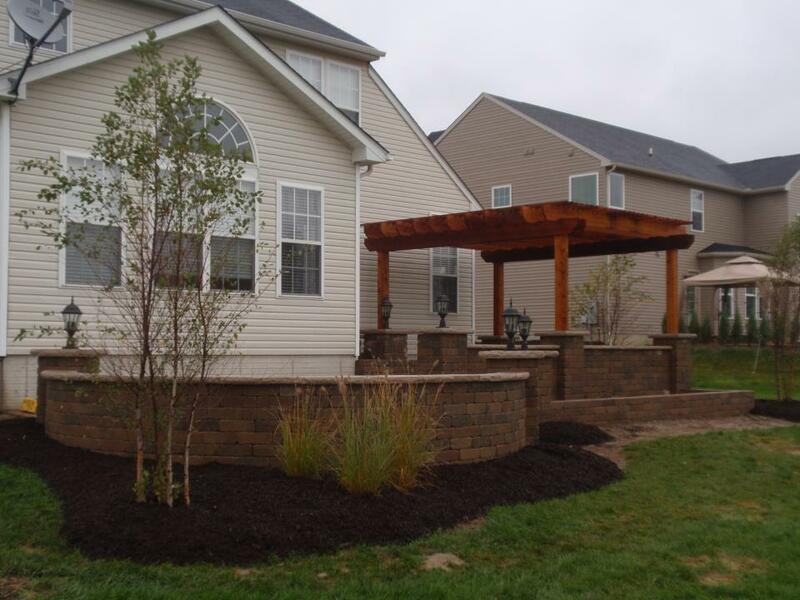 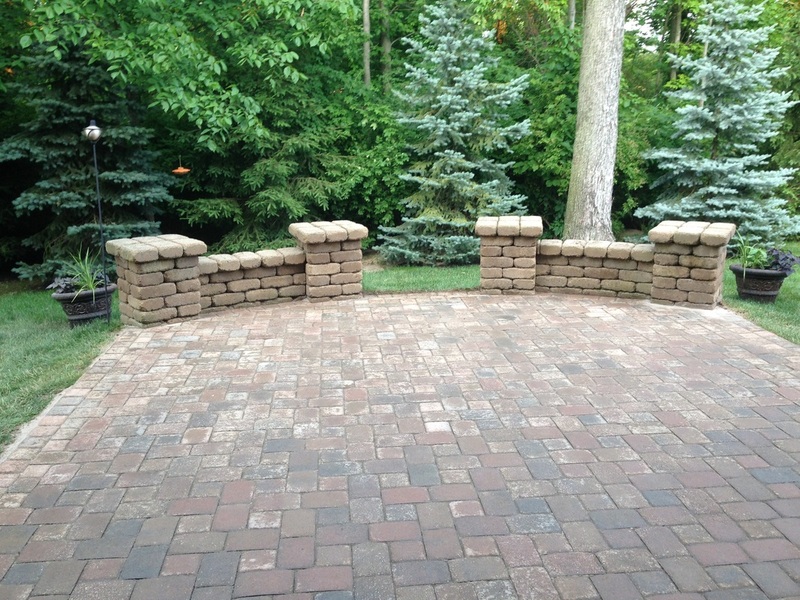 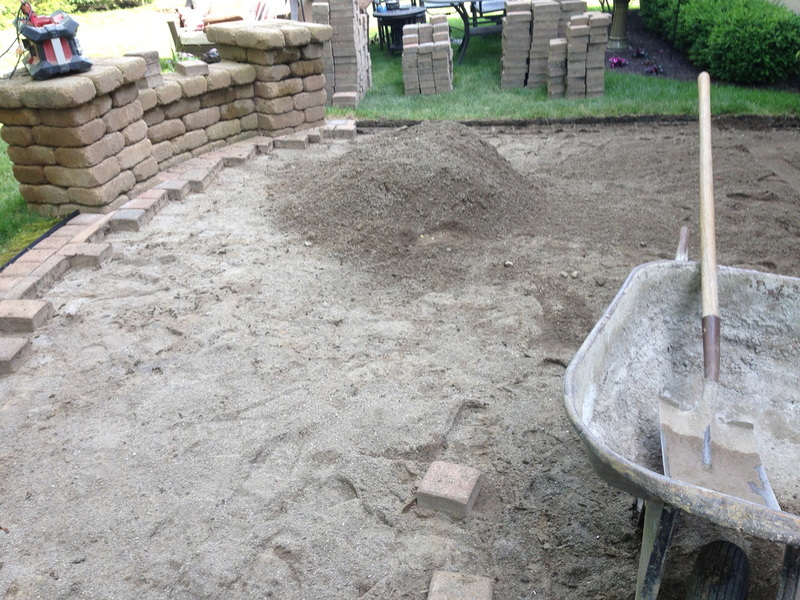 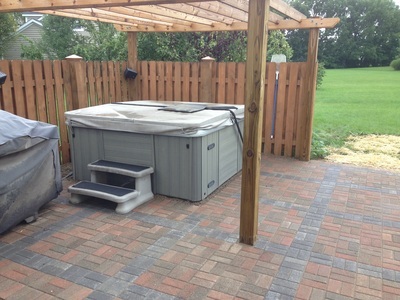 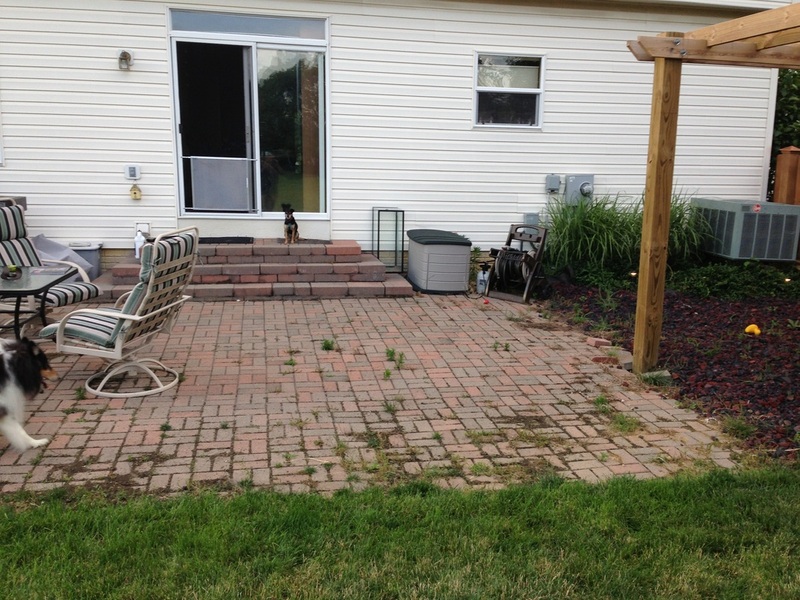 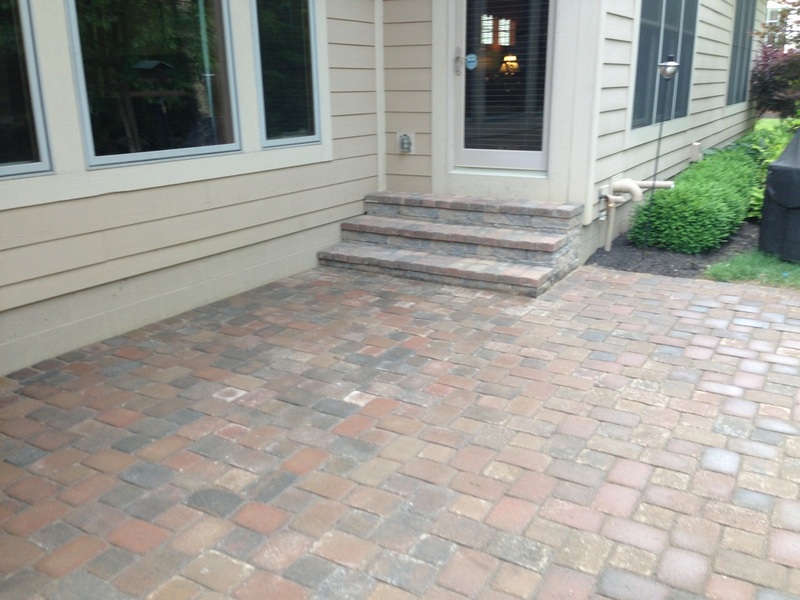 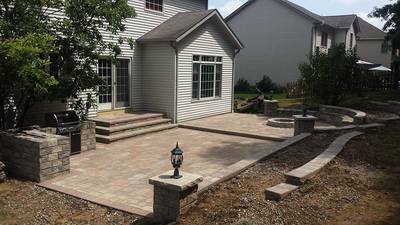 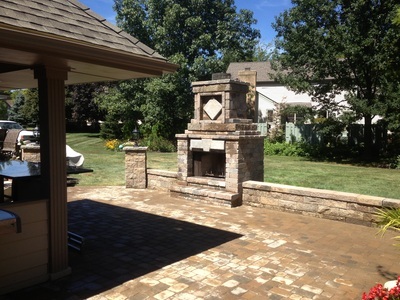 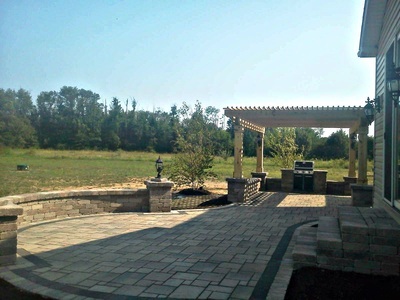 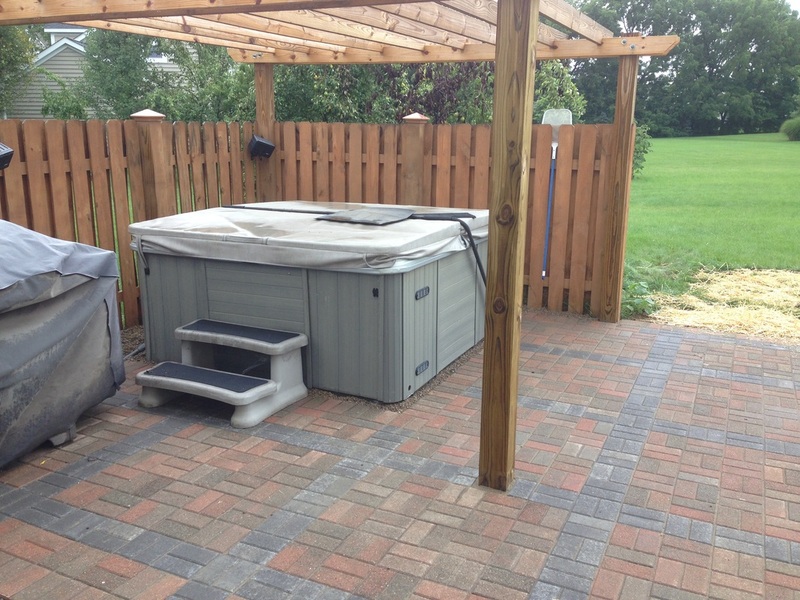 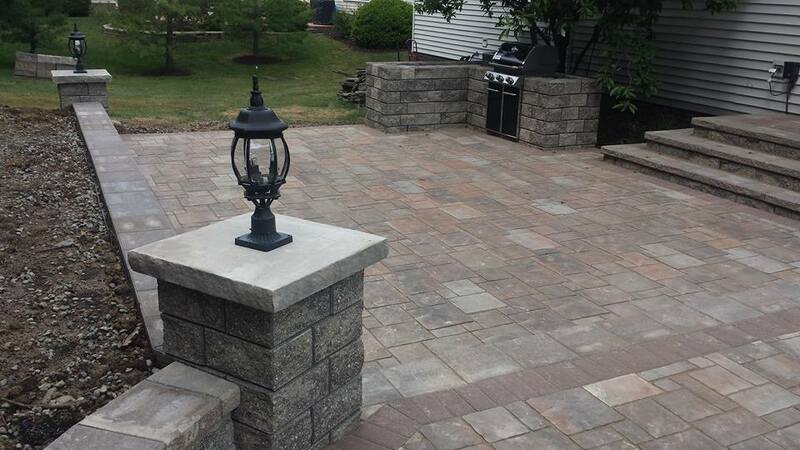 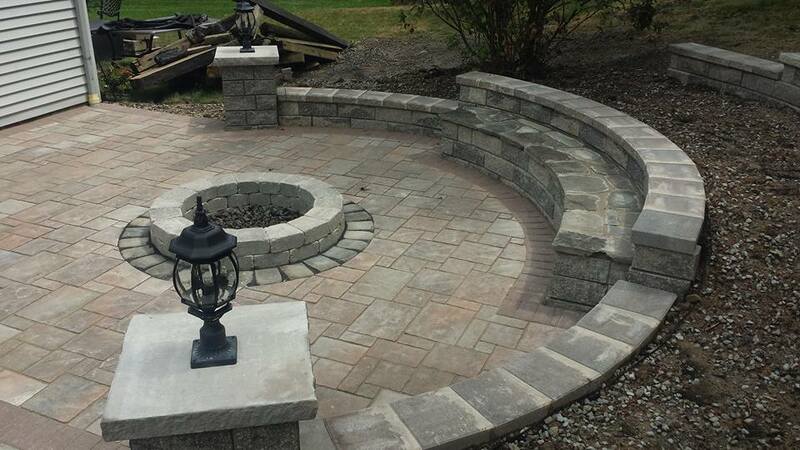 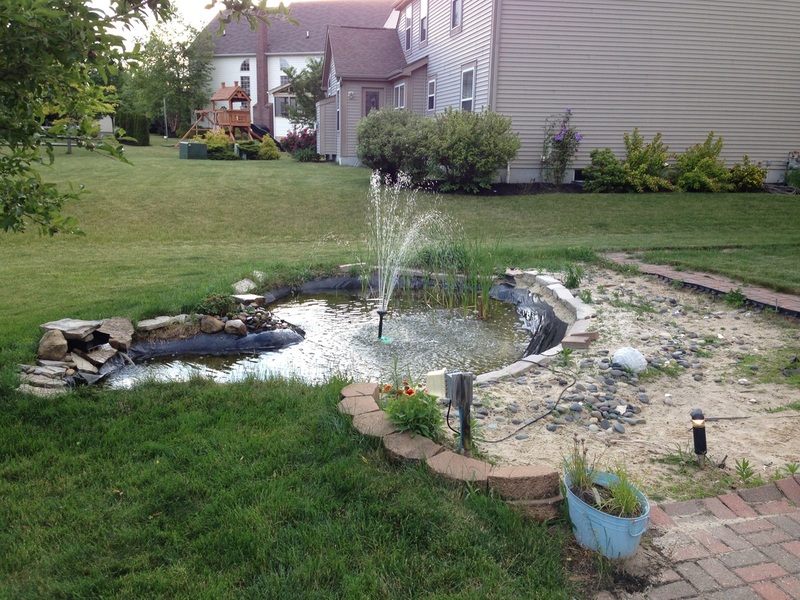 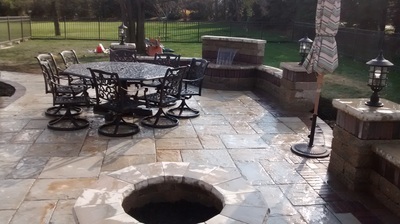 Installed this Unilock Paver Patio in Dublin Ohio in the fall of 2014. 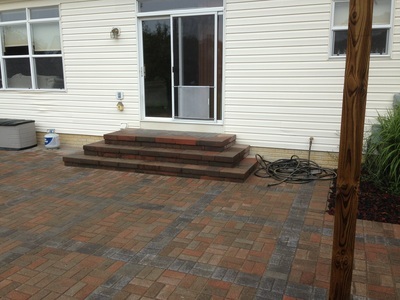 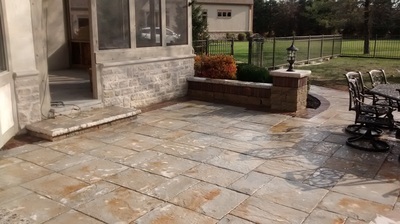 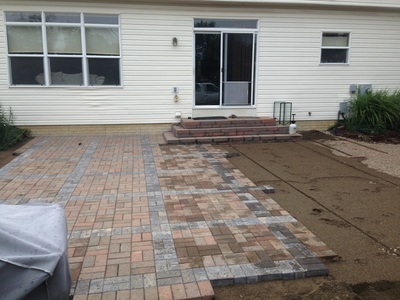 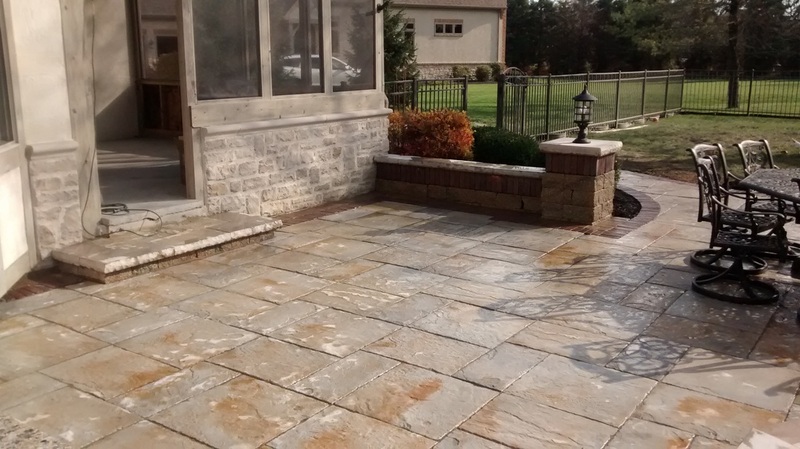 Yorkstone Pavers, Brussels Block Sierra Border. 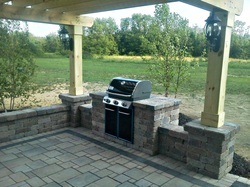 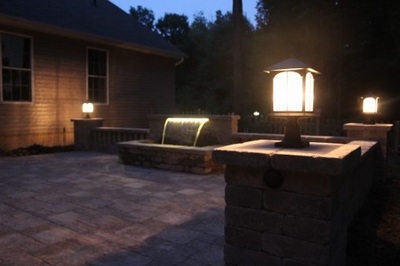 Custom lighting, grill and waterfall. 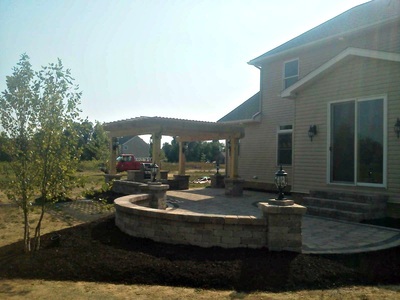 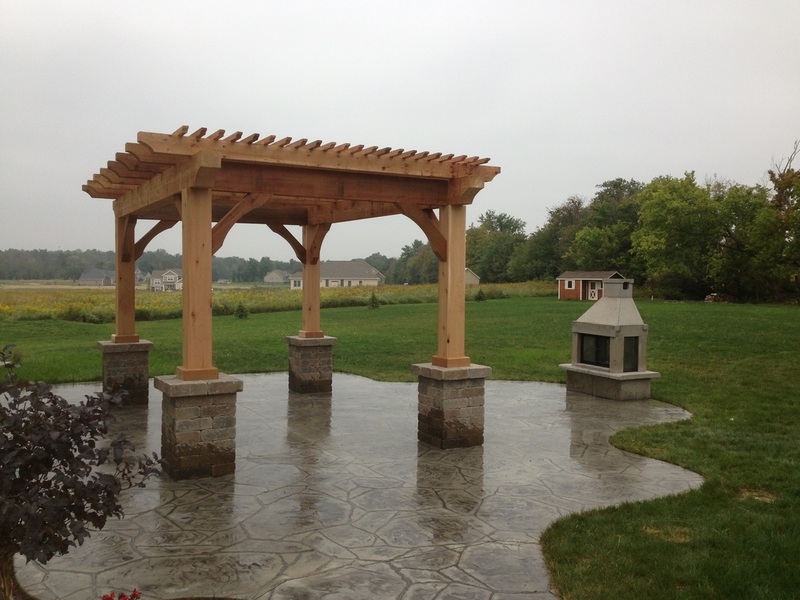 Installed this Stamped Concrete Patio and Cedar Pergola over the period of a year to fit with the budget of the homeowner. 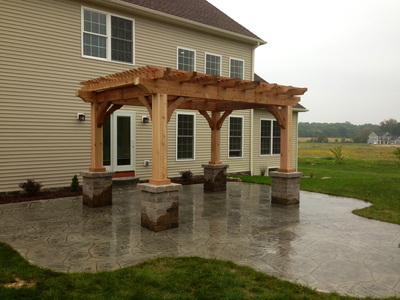 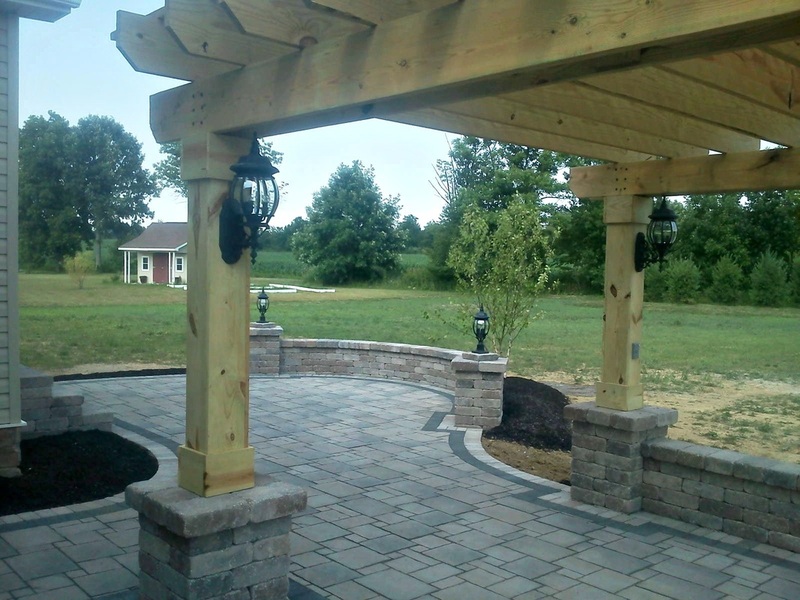 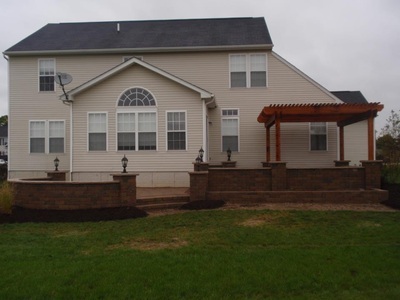 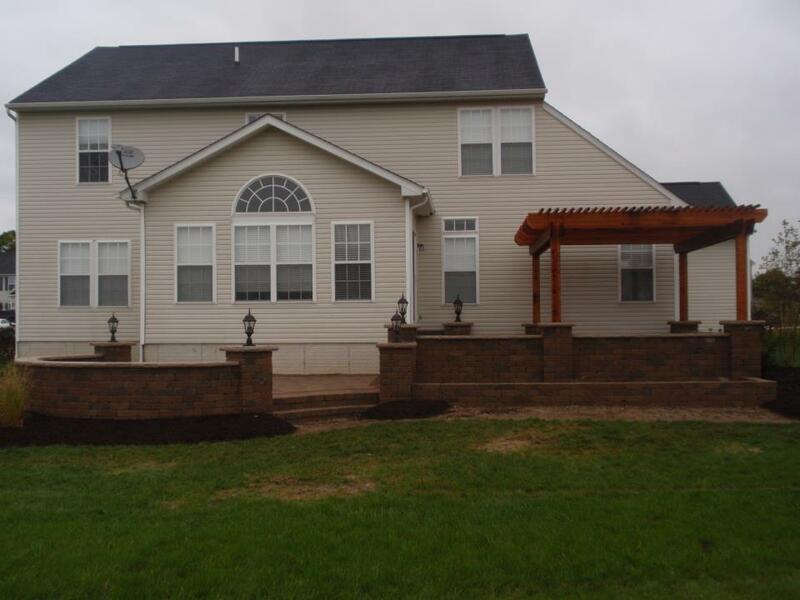 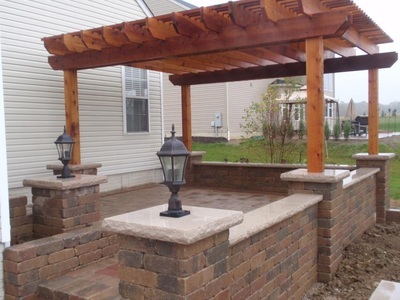 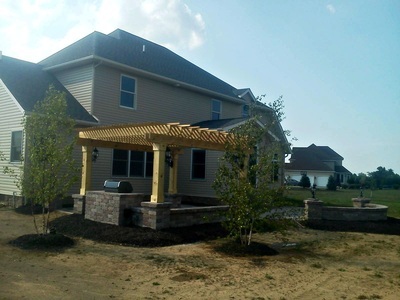 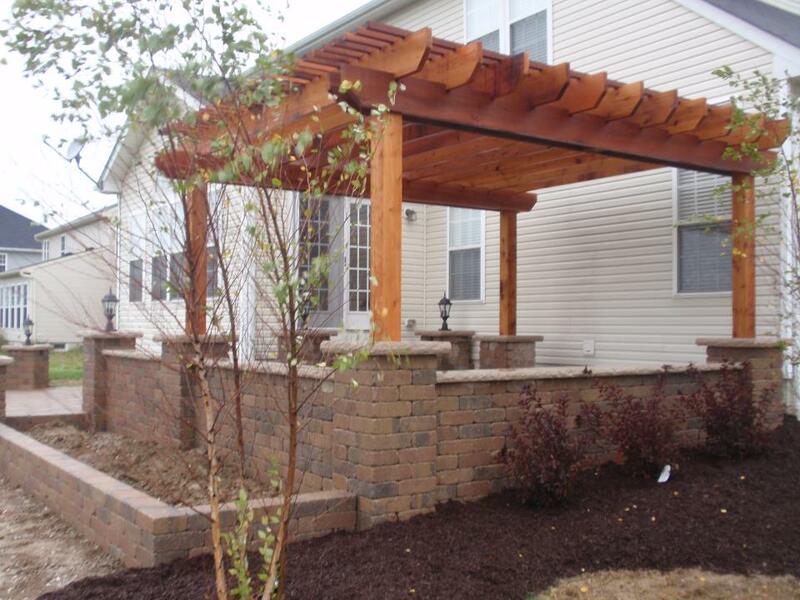 The cedar pergola creates an awesome outside living space in the summer and fall. 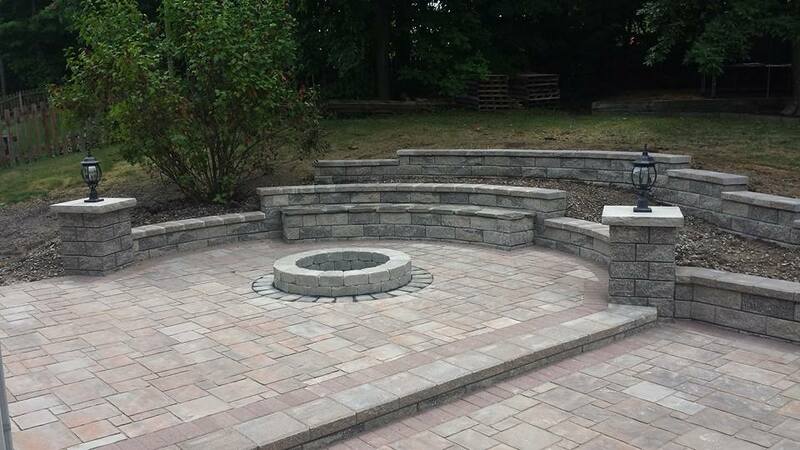 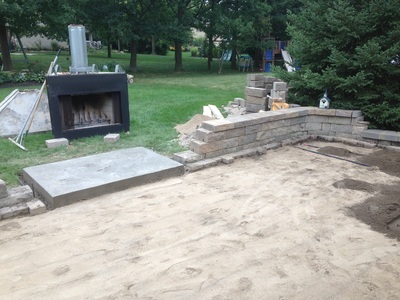 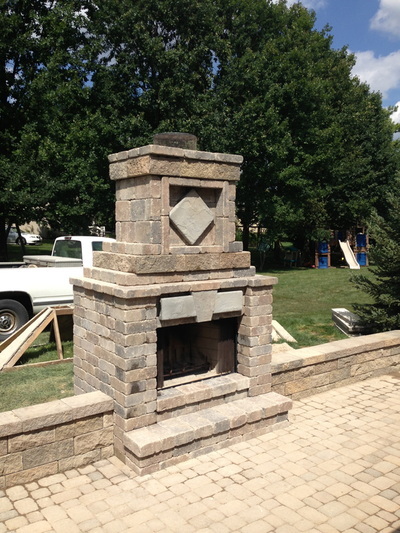 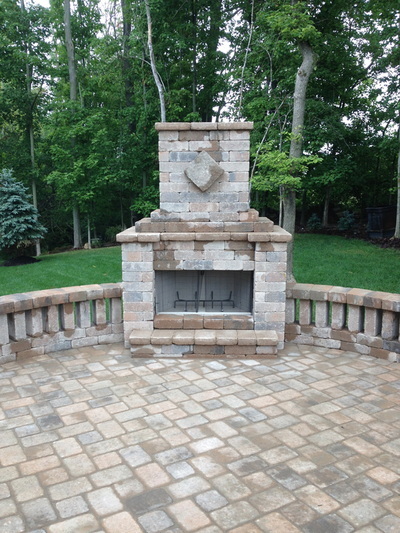 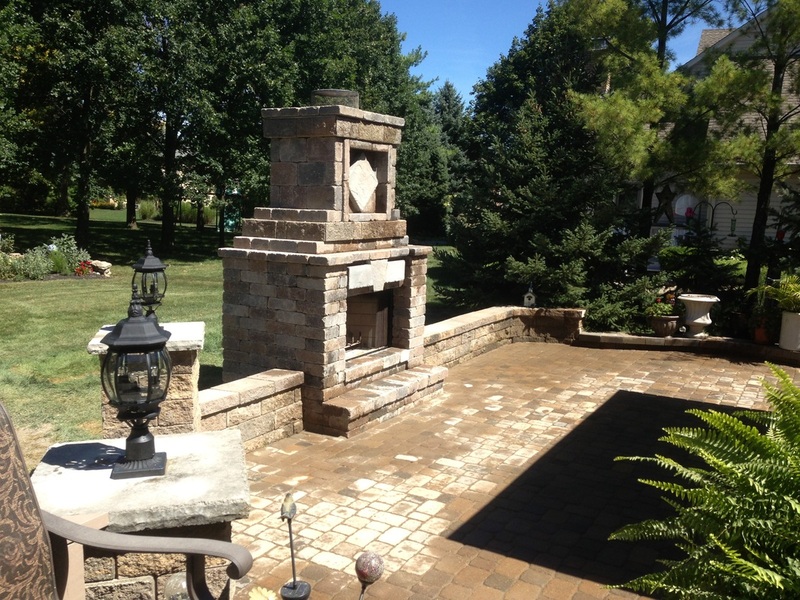 Built this outdoor fireplace in Dublin Ohio in addition to removing every paver and relaying to alleviate a drainage issue due to improper installation.